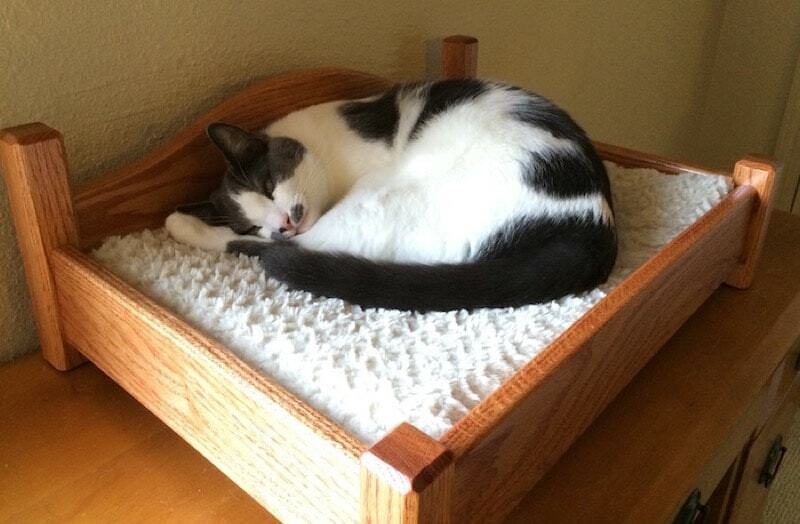 The classic oak bed is modeled after human-sized furniture that cats love so much. A custom headboard and solid platform lifted off the ground is perfect for keeping your furriest friends warm and comfortable. Overall measurements: 23 inches long, 16.5 inches wide, and 8 inches high. The side rails are 4 inches off the ground, making this bed easy to get into for many older and disabled animals. 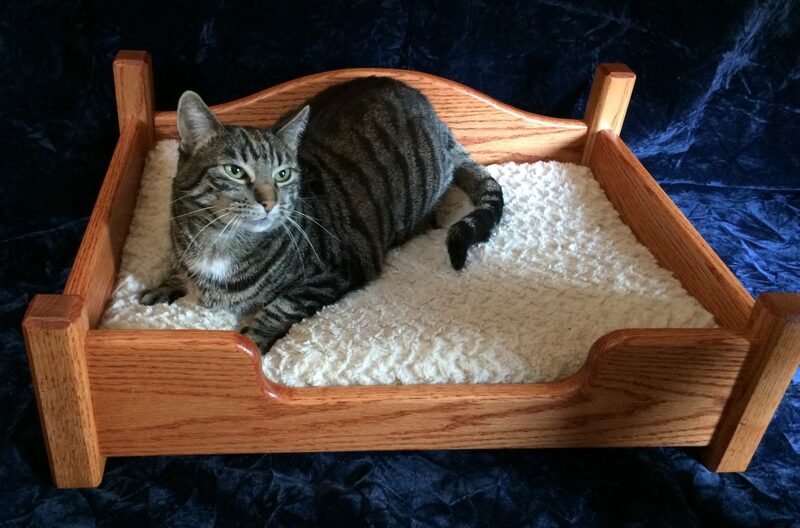 Solid oak bed perfect for even the biggest cats.